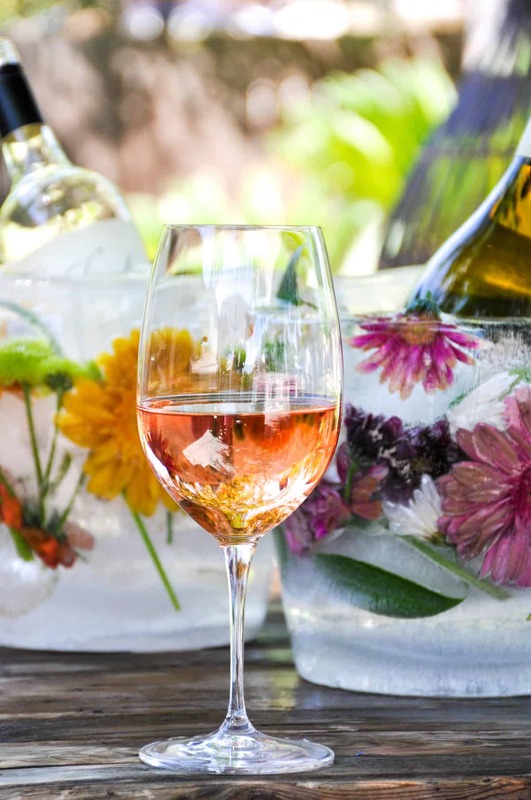 Want an easy way to WOW your summertime guests this season? 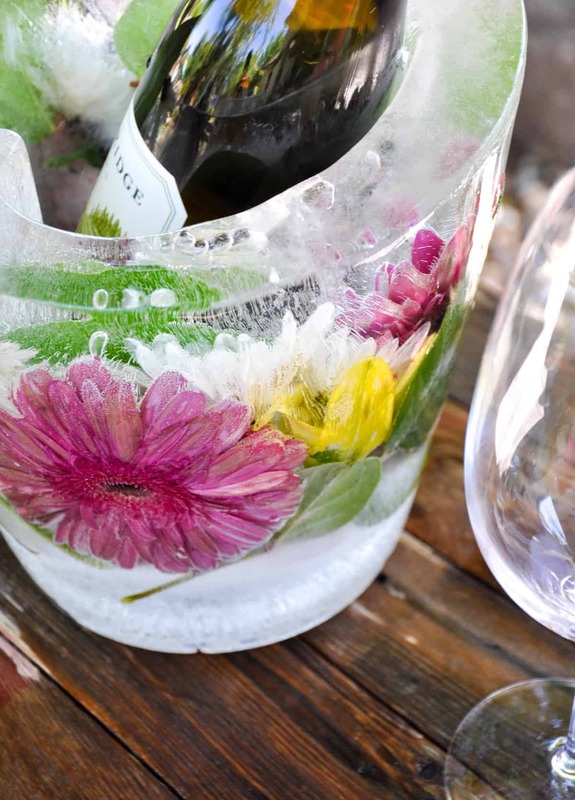 Why not make a Floral Ice Bucket to keep your beverages chilled in style? 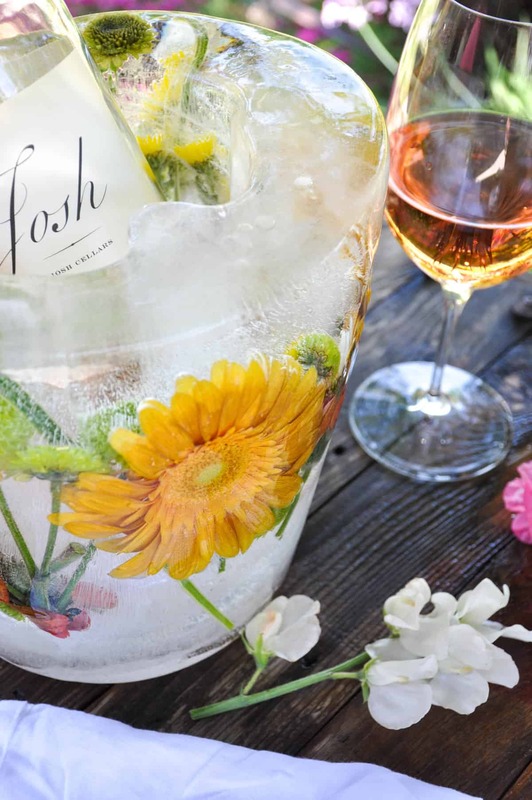 This is a super easy project that packs a tremendous visual punch when you need that extra special touch for a spring or summer get-together. 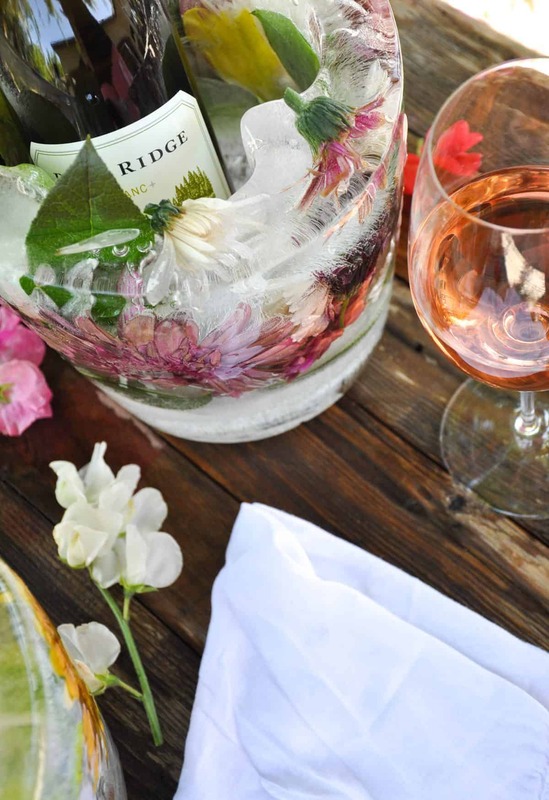 I think it would be the perfect addition to any baby or bridal shower, too! Make as many as you need and your freezer can handle. They do need to be made at least on day before the festivities and will take up a bit of room in the freezer, but trust me…it’s all worth it! 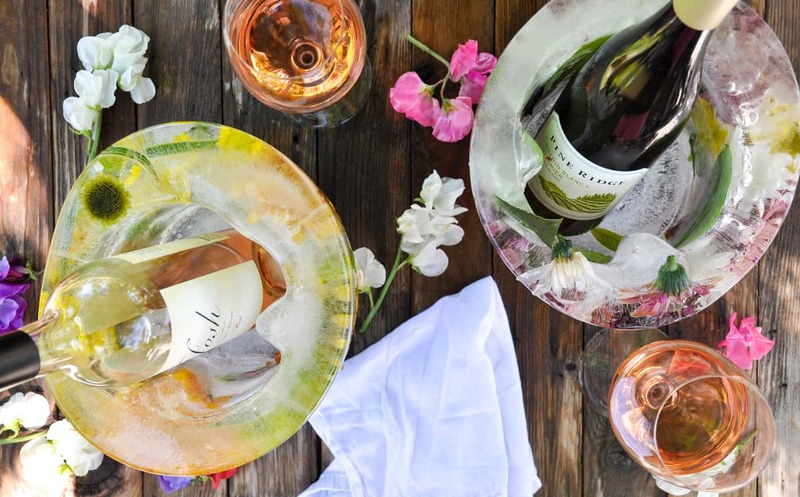 It’s like a beautiful icy igloo for your refreshing California wines. You will need two buckets, one larger than the other. I bought mine at the dollar store. I’m pretty sure the blue one is a small trash can and the other was a kitchen storage container. Just make sure the smaller fits inside the larger with plenty of room in between. 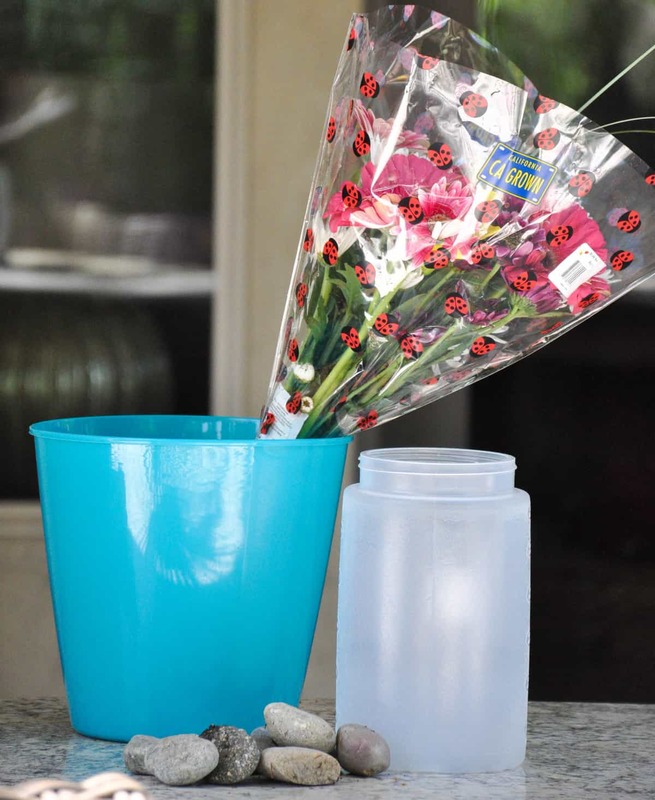 Other supplies needed are CA GROWN flowers and a few rocks for weighting the center container down. In case you didn’t already know, I LOVE seeing that blue license plate, don’t you? It means I am supporting California flower growers! 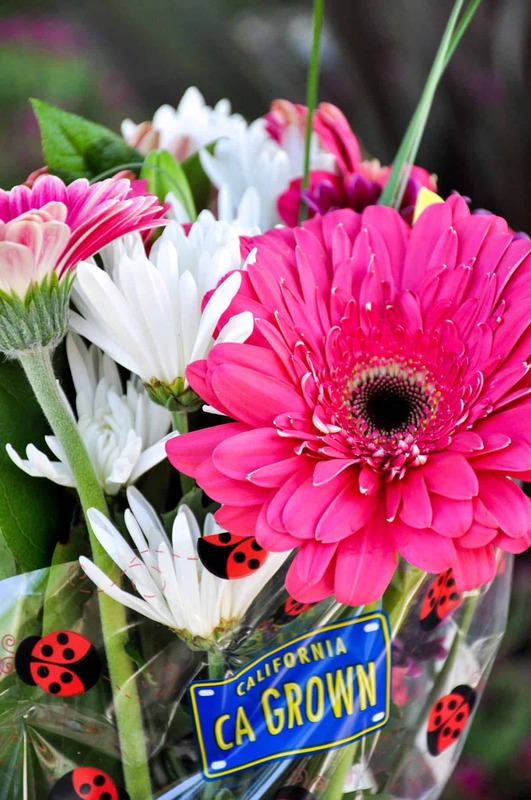 Trader Joe’s and Whole Foods are great suppliers and supporters of CA GROWN flowers. Next time you’re shopping for fresh flowers, just do me a solid and keep your eyes peeled for that license plate! 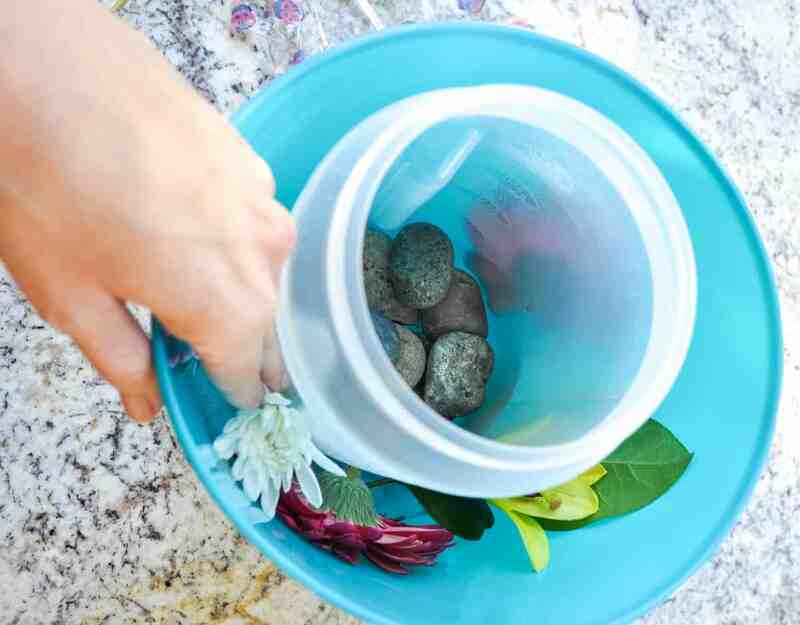 Fill the bottom of the larger bucket with fresh water. 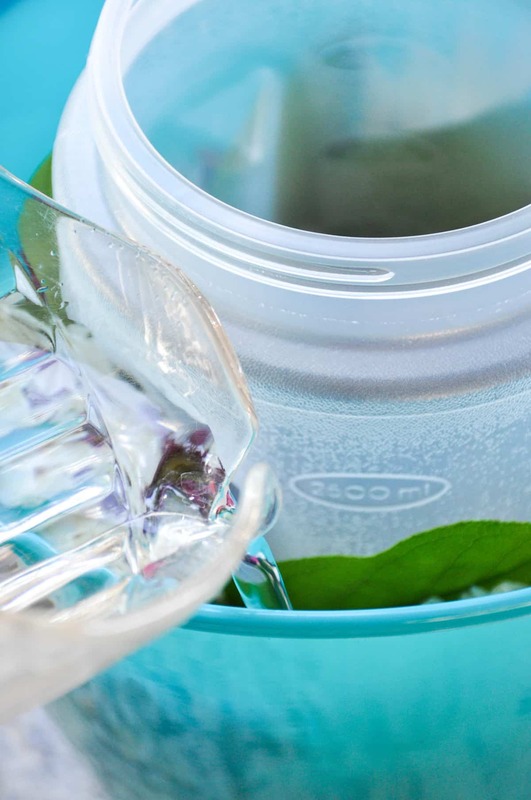 I used filtered water so when it’s complete, my ice bucket would be mostly clear and not cloudy from tap water. 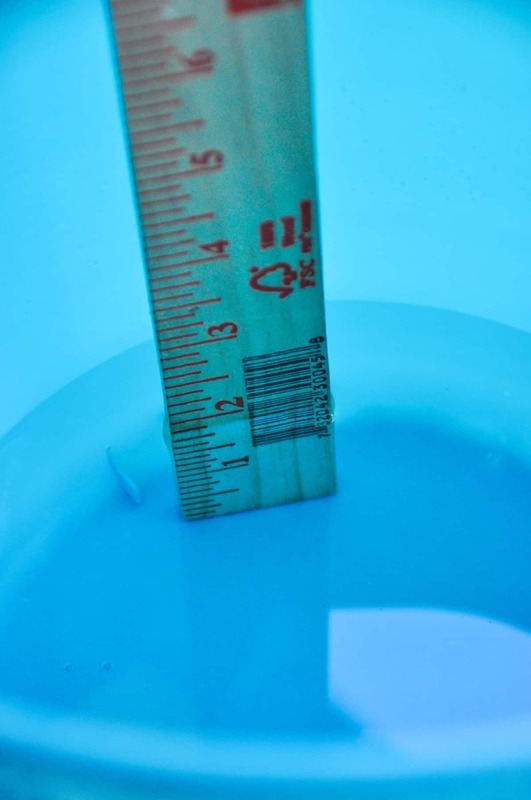 Keep the water level on the bottom at about two inches for the base. 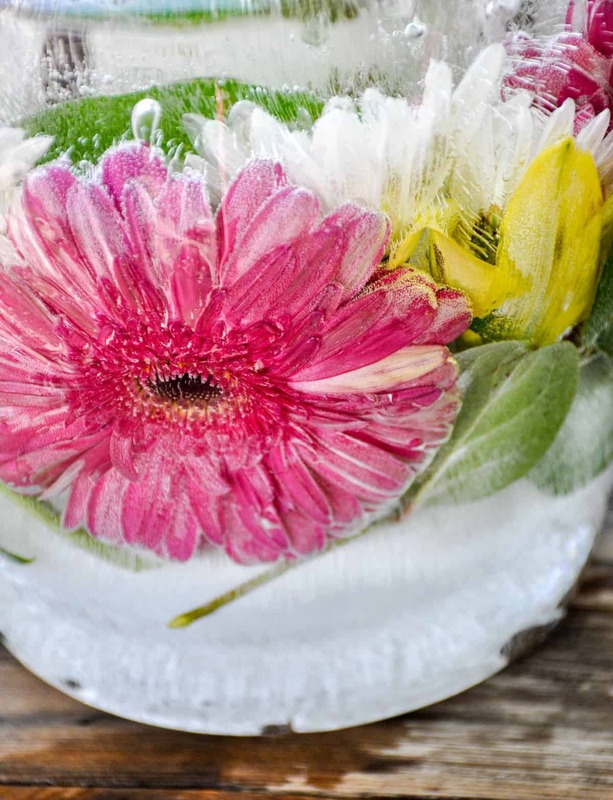 Freeze for a few hours until hardened. 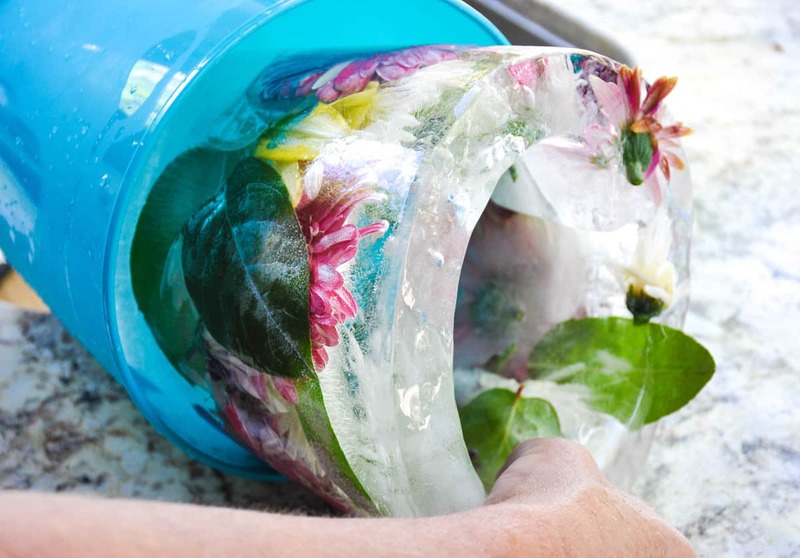 Once frozen, pull from the freezer. 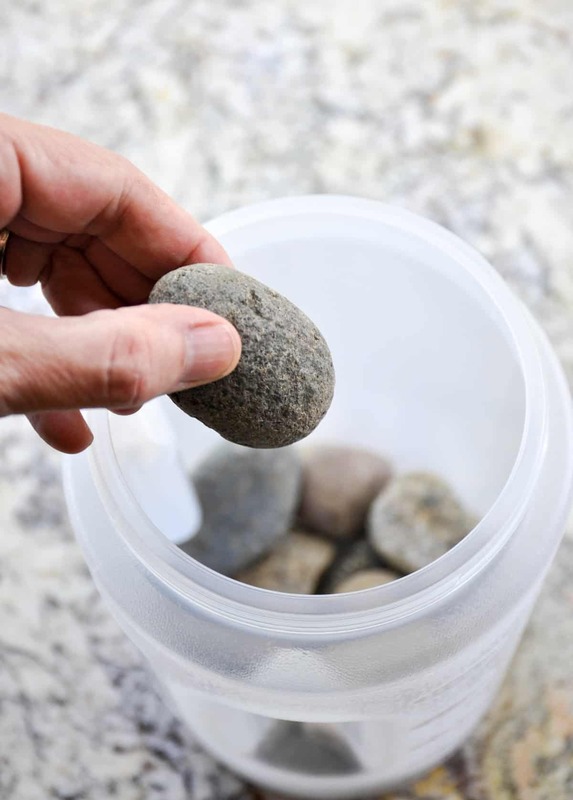 Add several rocks to the inner bucket so when we add water to the outer bucket, it stays in place. 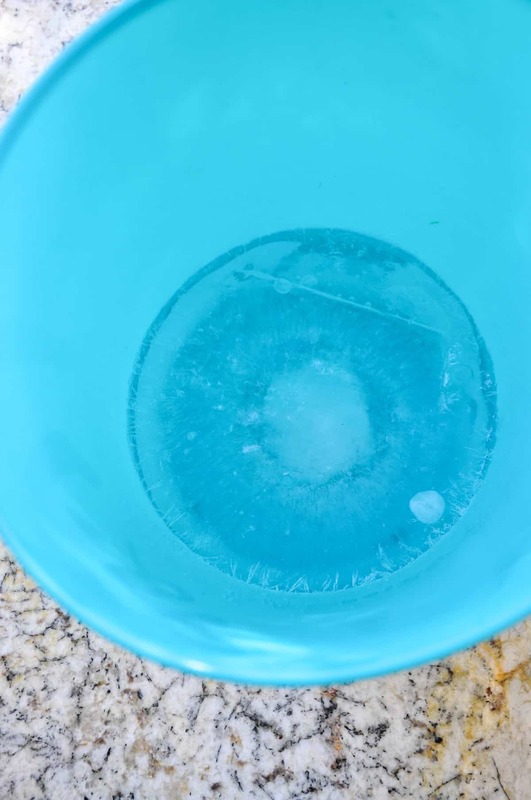 Place the rock-filled container in the center of the large bucket, right on top of the hardened ice. 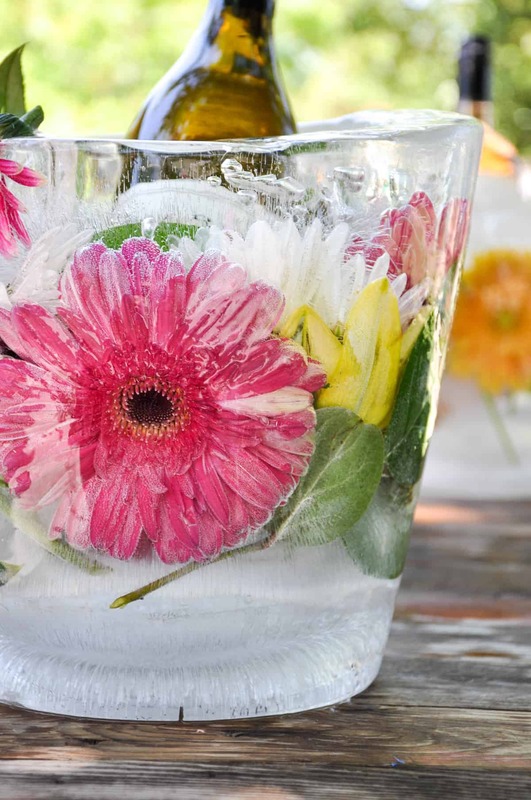 Cut the stems from the flowers and start pushing them down into position, being mindful of your position and color choices. 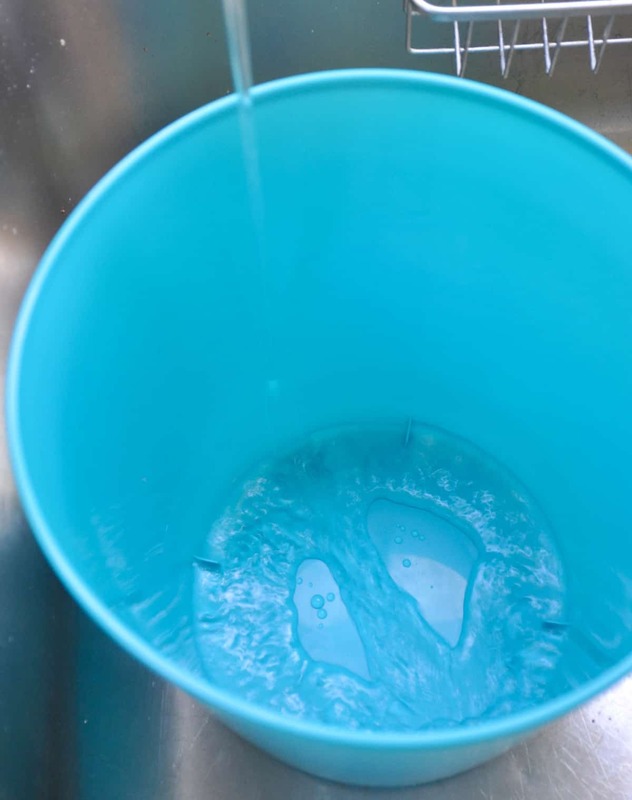 Add water to the outer bucket until about an inch from the top. 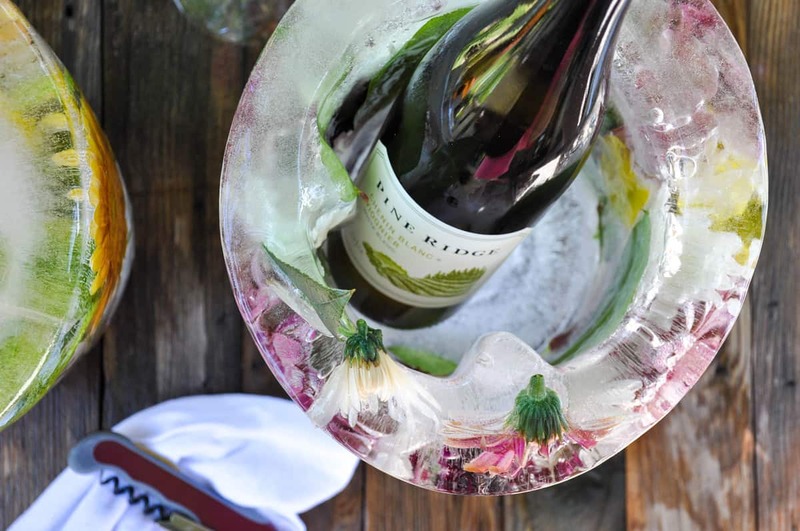 Transfer back to the freezer and freeze overnight. 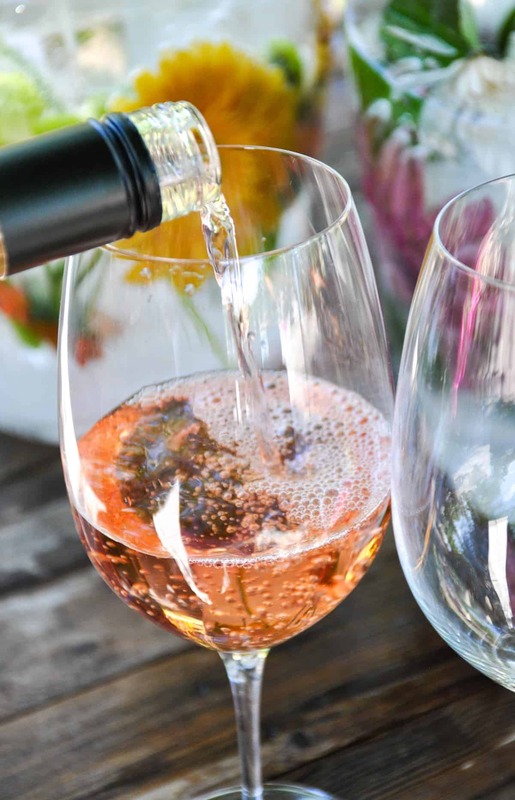 Immediately add in your chilled bottle of wine and enjoy the view! 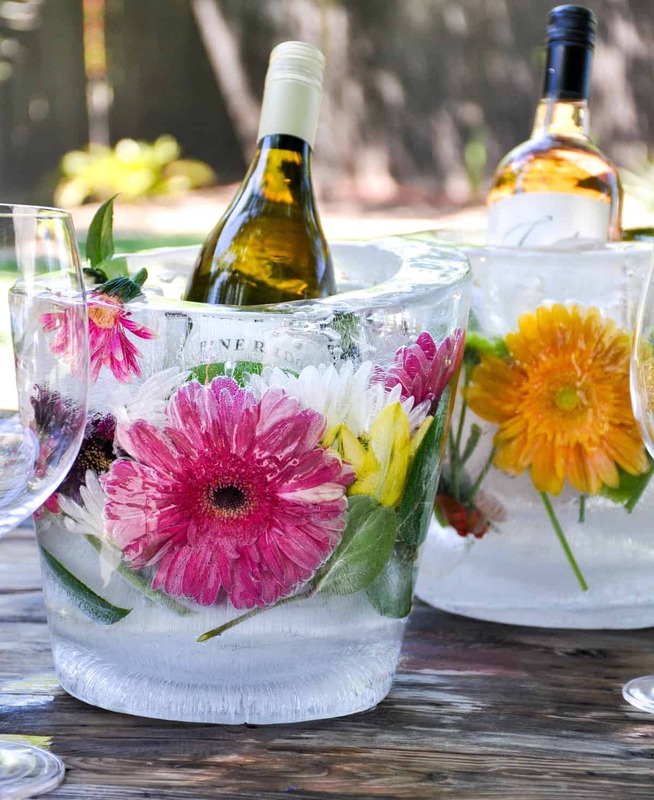 Such a charming and fun addition to any outdoor gathering!